alternative should in case this stuff get blocked. Etisalat Bis on non bb device. your apn to “blackberryx.net” without the quote. and exit. Connect and surf. to browse with it on non bb device. It has been tested and confirmed working. Hello guys. 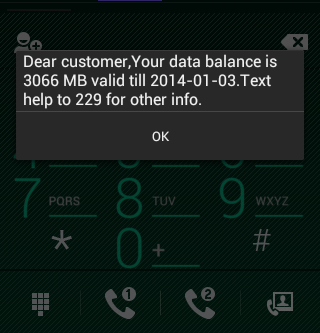 I have done as instructed, my mb is 3072mb. I cant use..it….my data is being charged from my account balance. I need urgent assistance pls. PROF are yu dere? oga yomi, i will do it pronto and get back to u. as for the apn, is the 'x' included? Yomi thank you so so very much. Tho i haven't tested it but i always know there's away to catch the rat. lol. Because all BB subs have a certain APN they use. Even MTN could block theirs because they changed bb APN. prof how can i unlock my airtel E173u-2 modem. pls detail steps. When you inserted another sim in it, did it display unlock space? if no, then Dc unclocker client will unlock it for you. If it won't retain another sim card again, it means it has not been unlock successfully. I'll suggest you rechck it and try it again. thanx Prof… pls, is it blackberry.net or blackberry.netx? Prof please can dis settings work on my nokia windows phone? I actually haven'nt try it on Nokia window but instead of risking it, you can sub for their daily plan. if it works then their monthly plan too will work. Is it possible to use vpn to boost it to unlimited? I have some big files to download. Thanks. Lol…! You wan to kill the server? Actually i haven't tried that but you can experiment it and get back to us. Perhaps that will be a good discovery. I tell you oooo, na 1k dem take marry my sister. I need real testimony before i go do am. I know 1k is a big cash though but i don't post what i didn't confirm. It is working and very fast. But you can still wait for more guys who has done this to testify. Thanks Prof, having followed the procedures mine is connected but not browsing or is bcs I am using glo modem? it doesn't have anything thing to do with modem stuff @Anonym. Re-check your apn again, or better still, create a new apn on your modem and set it at default apn, save it. and make sure it's the bb10 15 you sub for or else it's not going to work. It s finally working 4 me after I reinstall my modem driver. Thanks very plenty. thnx yomi pls can you help me with unlock and reseting my unlock counter for my etisalat E303 modem.i got the unlock code from diff sites all the same but didnt unlock it unfortunatly i used all my attempts,hve been trying for a long i used dc to reset the unlock couter with my new algo code still didnt work.need your help. Did you you follow the tutorial here on how to reset your unlock counter back to zero. Just put Etisalat as the name and use the above apn. Tried it and it is working fyne. Thanks for the tip.? Did you check your remaining mb to know if it is moving? if it's not moving, it means the Openvpn tunnelling software is working and unlimited. Prof. thanx for d info…I did followed all instructions to d letter but after d 15mb from d bb10 plan was exhausted, it stopped… should I resubscribe for d bb10 again or what ? are you sure you subscribed to bis first b4 the bb15 subscription? Thanks prof. its blazing like thunder! Ajiboro frm Abuja. Sorry if any body is doubting it, he should try it with just N200, N100 for BB daily 50MB and N100 for BB10 daily 15MB. You have nothing to lose. Bravo Prof. God Bless Sir! well done mr yomi that etisalat is working well ,thats what im using now ,i really commend your effort ,and belief me your effort would not be in vain ,one day you will be crowned ,keep it up. @Everyone i am glad it' works for you all… If yours is still not connecting, maybe you missed something or so. keep rocking it while it last. thanks prof, you d best. Lol.. Funny you. With all this testimonies? I have a problem. A friend gave me his modem (EC226 – MultiLinks) about 2 months ago to unlock and I've not been able to do that up till now! My major problem is that I can't locate the IMEI number anywhere. Plc any help about how to do the unlocking? Thanks. Locating the imei isn't the problem but when you inserted another sim inside it, did it display an unlock space? When I press the 'connect' button it keeps saying 'The device has been disconnected or is unavailable. As a matter of fact, it is not yur bb sub they are charging but ur bis 3gb. So until your bis exhaust, yu bb10 won't be charged. Tested and confirmed!!!!!!!! yomi you are the best . i just suscribe and i tested it by downloading a 100mb file ……. pls prof need reply i tried to subcribe for the bb complete they say dear customer your device does not support the requested service. Since that is what it's displaying, i will suggest if you can get a bb device around and sub on it. etisalat go just the wonder y 2million nigerians are suddenly adding 100naria to there bb complet plan hahahahahaha. and input the apn settings. Dear Yomi, pls can i use this apn you gave here (blackberryx.net) on pc? or should i remove the x? Thanks for your prompt response as always! Have tried with the daily plan,it working. Thanks prof. But did you see anything like menu, settings >>internet? Make sure your configure your apn as seen above and another thing is that did you subscribe for the bis before the bb10? I haven't taken my time to check the megabytes but i guess it's 80mb or so..
Yomi is not the baddest guy, he is simply an angel sent to put smile on faces of the weak and strong. hello Tuzzy,on which device are you using it? Prof its a Samsung Galaxy grand duos. Thanks bro. Using it on my iPad… God bless u plenty plenty!!!! Boss, can i activate it on an already active bis? Thanks so much Prof you deserved a bottle of beer. Just like what ben said, you must confirmed that the bb plan is activated before optin into the bb10 package. Now that it's taken you to buy.etblabla.com, Resubscribe to the bb10 15mb and wait till you receive a comfirmation messaage that it is active. if they are deducting your money, it simply means you are not surfing with the mb you have. I beleive you have activated bb complete… but i am not sure of bb10 daily subscription. I'll suggest you subscribe again for the bb10 daily and wait until you get a message that your bb sub is now active. If you didn't get any message, don't remove it from your fone. after then they won't charge you again. No you don't need to renew the bb10 sub. it will be working until your exhaust your data cap. Good evening Mr Yomi… thanks For The the cheat, Pls i Tried reusing the sim on my blackberry but the bis didnt work on my blackberry again, boss pls what's the problem? Sorry man, your sim has already been disvirgin by the bb10 so bis can nolonger work on it except you subscribe for norm bb 10mb to knit it together. What bb10 package does is to disvirgin bb complete. please how do i do d bb 10mb, and hope i wont have to resubscribe to the bb10 again wen i want to use it with my system? I really can't say for now except you try it again on pc. hi prof i created a new apn on my nokia lumia 520 and activated it but it still the setting from d sent etisalat setting that is still working making me not able to browse, pls what should i do. Hello man, clear all the apn, totally delete them again. And if that etisalat apn is still showing, manually edit it and insert the main apn. Save it and set it as your default. If it still show the same old default apn, insert a non eti sim inside your lumia and manually create a new apn save it as yur default and insert back ur eti sim. it will browse after then. @ chika. set ur device to 3G only. Prof I will soon opt to d etisal but I don't knw y my Airtel refuse to work on other apps except whatsapp while on d BB plan for Airtel. Tanx for quick response. prof, its not working even after trying the *559*3*2# on a blackberry device. is there an sms method for subscribing to the 15mb plan? please can i use it with a lumia phone? i am kachi. mine isnt working. it first clears my credit and the bonus then stops working. when i check the data balance the 3072mb is still intact. i used the bb10 daily which didnt work, it gave me 3087mb. when it expires it goes back to 3072mb . i subscribed to it with my android phone. must i use a blackberry ? pls what do i do ? thanks. Resubscribe to the bb10 daily bis, and you will be given 15mb. Please make sure you receive a text confirming your bb10 daily active. If you didn't rec any text, don't browse until the confirmation roll in. You mustn't use a bb phone before it will work. Hello Celphon, accept my deep apologies for not replying you all this while but you can use your bis on bb again. Just sub for the daily biscomplete plan of #100 and it will get it working again. Prof Yomi, plz come to my aid, I did subscribe and follow the normal procedure and it worked but I was able use the 3gig in just 1week and I try to re-subScribe to the plan again , well I follow the usual process but this time, it didn't connect and I discover it keeps redirecting to buy.etisalat blah blah….plZ sire what can I do to make it work again becoz I receive confirmations for both the monthly sub and also the daily sub yet it refuses to browse…plz what can I do right now to make it browse…..PLZ help my Prof Yomi. Hello Anonym, please i want you to confirm that the plan has been activated on your device by checking your bal *228#. What device are you making use of ? Thanks for the info prof….please does this tweak work on iphone and ipads??? Mine aint working bro, subscribed yesterday for d one month plan and den d bb flux 100 naira plan but they only deducted my 15MB and left d 3G, i did anoda bb10 subscription today and waited for abt 3hrs but i never received any welcome messge from dem. so i went on and browse but they still deducted only my 15mb and left my 3G untouched. whats d wat forward sir? appreciate" I made this post since 9/12/2013 under this topic: "How To Reset Unlock Code Counter To Zero For Huawei Modems"
Please i have not got it in my email. harraap and get out from this site, try shutting this site and we will burn down all your mast and cripple your network. Hello Prof Yomi (as I see everyone calls you that here). I actually stumbled on you blog, yes you guessed right! I'm in search of the etisalat alternative. I heard about it and seen testimonies too so I decided to try it out. Sadly, it didn't work on my device. It seems after the 15mb plan zapped, the connection stopped and I'm left with the 3GB which I can't use. Would be nice if you could roll out a solution if you know any. Mine is not working too. 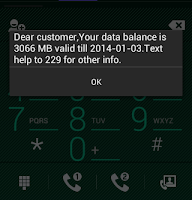 Ooohh I tot I was d onli one oo… I actuali stumbled on dis blog lukin for a solution to ma Etisalat wahala…. Ma 15mb has vanished nd it even ate up ma credit yet d 3g is still intact…. PLs I NID HELP Ooo Prof pls reply us ASAP Na? Please no one should subscribe again for this package once you exhaust your current data except you want to waste ur money. Wait for an update about way forward.